So my little L has fine hair like me and some areas on her scalp have very thin hair. I have decided to incorporate essential oils into our Haircare regimen, to promote a healthy scalp. Well, healthy hair grows out of a healthy scalp. So I am attacking this problem at the roots. 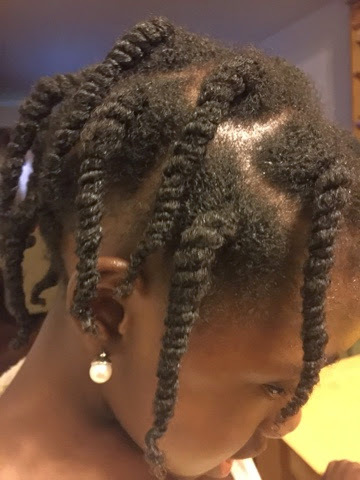 I use Shea Moisture for kids, the Carrot and Mango line, to wash and condition her hair. However, I mix the conditioner with Jamaican Black Castor Oil, Sweet Almond Oil and Lavender Oil. I use that blend to deep-condition her hair. I believe in using heat to open the cuticles so that the conditioner can penetrate her hair easily. For 30 minutes, she has a heating cap on. after the conditioner is rinsed out, the result is soft manageable hair! The lavender oil is for the scalp issues. 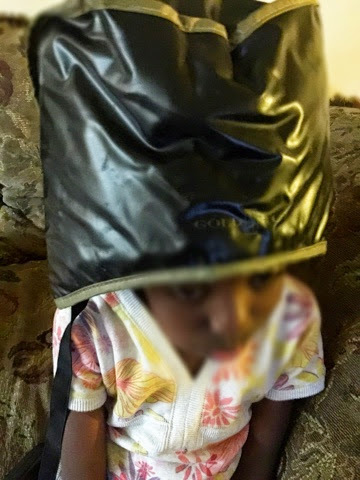 My daughter's scalp condition has improved a lot but she still has areas on her scalp that needs to be filled up. 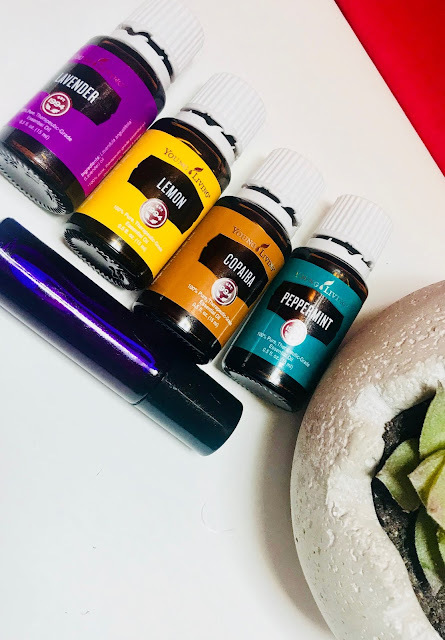 I purchase my essential oils from Young Living Essential Oils. Their oils are unadulterated, with a seed to seal quality guarantee! I plan on adding more essential oils to our Haircare regimen. Those will include Rosemary, Cedarwood and Thyme. These, including Lavender have been proven through experiments, to make re-growth of hair possible. I will do a more in-depth post on essential oils and re-growth in another post. 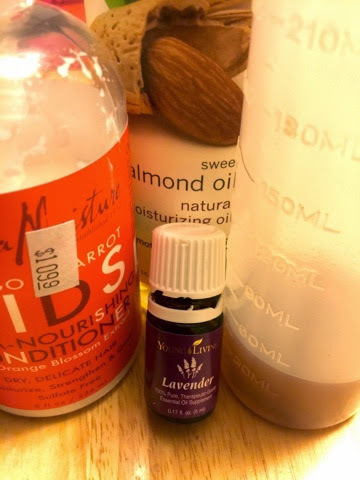 So if you have Alopecia or areas on your scalp with very little hair or none at all and or your little one has balding scalp or thinning hair, you might want to try the above-mentioned oils. Thanks so much for sharing, I've been experiencing extreme hair loss and I believe it is because of an unhealthy scalp and some of the products I use. You and I have very similar hair types. Im definitely going to start using those essential oils. What conditioner do you recommend for adults to use or does it matter? Thanks for visiting. I love Shea Moisture products because they are easy to find, affordable and most importantly effective. However, the conditioners have nothing to do with hair loss. You should first check with your physician to make sure that your hair loss is not health-related. If health is not the issue, it may be due to stress, both psychological/emotional and physical. The physical stress can be avoided by being super gentle with your hair. Do not let braiders touch your hair. Learn to do your own hair. Don't wear braids that are too tight, those will pull out your hair. It may be a scalp issue. Massage your scalp daily with Jamaican Black Castor oil mixed with Lavender, Cedarwood, Rosemary and Thyme essential oils. Young Essentials sell unadulterated therapeutic grade oils, that have a seed to seal process quality. You can click on the link below to purchase if you are interested. Most times, if it not internal, hair loss is caused by aggressive handling. Try to be extra gentle when combing and detangling your hair. Use a lot of moisturizer and oils to detangle after your hair has soaked in the moisturizer and oils.